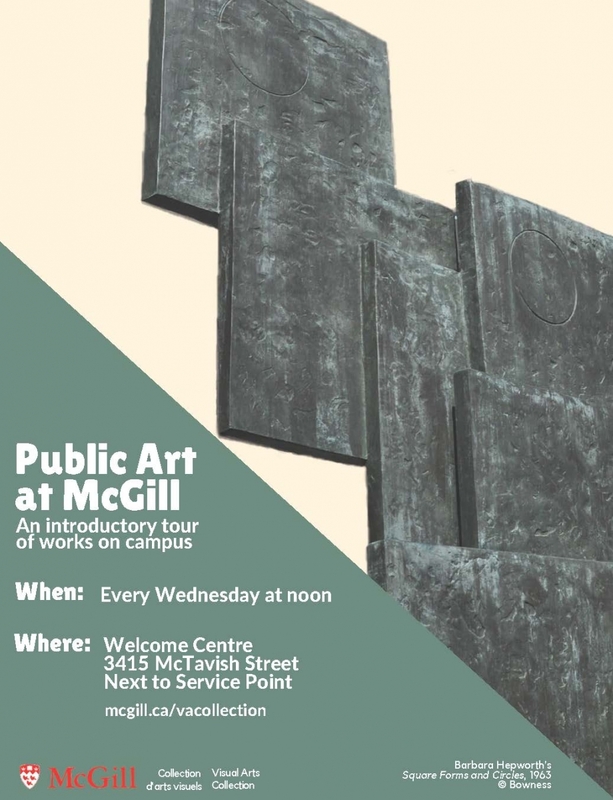 Tours will be led by members of the Visual Arts Collection team and will take place every Wednesday at noon. They will leave from the McGill Welcome Centre. Reservations not required. Year round. Rain or shine.